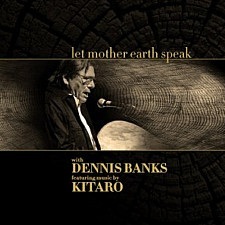 Pre-release Review: Let Mother Earth Speak by Dennis Banks & Kitaro. New spoken word album with song single included entitled Peace, available in audio CD and digital downloads. 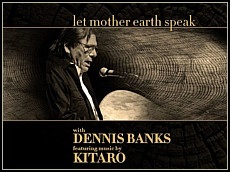 Distinguished Native American activist Dennis Banks has teamed up with international new age superstar and GRAMMY® Award-winning Kitaro for his new album titled Let Mother Earth Speak. This unity of Dennis Banks, who provides spoken word narrative, and Kitaro who accompanies Dennis with world-class instrumentals, is a world apart culturally speaking from the music customarily heard in modern day society. Let Mother Earth Speak is an exclusive new release like no other in the genres of spoken word, along with traditional Native American music. Introducing 9 songs total on the album and the life history of Dennis Banks, an Anishinabe from the land of the Ojibwa people, is delivered by spoken word and traditional Native American Indian songs. Kitaro’s instrumentals of keyboards, Native Indian Flute, percussion, and ethnic woodwinds transcend the message of peace and real life stories with a sense of inspiring realism. Artists Tomoko Koshikawa and Kirilola sing background vocals. There is a sense of authenticity in the voice of Dennis Banks given the down to earth clarity in which he uses spoken word to encourage a more peaceful existence, while recalling past memories and wisdom learned from the experience. 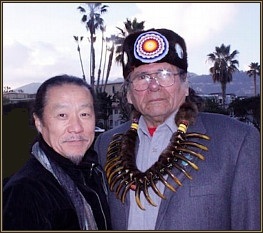 Sharing oneness with the earth in which they live day to day, Dennis Banks and Kitaro each embolden the message of international peace in their own lives as individuals. Together as a team, their encouraging message speaks of peace and harmony with new-found optimism, making the elusive goal of world peace seem less abstract and more like a compellingly real concept within arm’s reach. 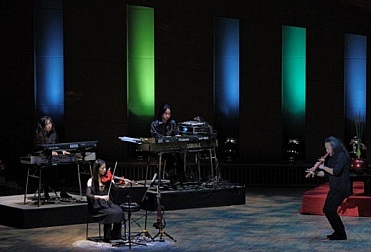 Domo Music Group is presenting this arrangement by Dennis Banks and Kitaro. 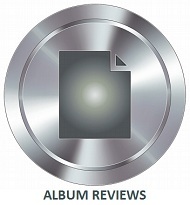 This album will be interesting to watch since this project will be submitted for GRAMMY® consideration in the Spoken Word category in 2012 – 2013. 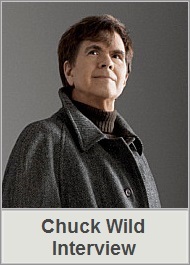 Receiving nomination or a GRAMMY® Award for Best Spoken Word Album will be a challenge however since past winners include 2012 Winner Betty White, plus former and current U.S. Presidents Jimmy Carter, Bill Clinton and Barack Obama. 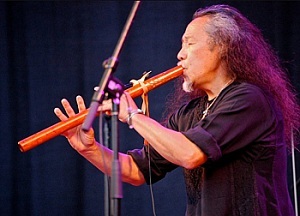 This new album composed and arranged by Dennis Banks and Kitaro, is timed to be officially released on September 11, 2012. You may sample or purchase this album right now with 18 page cover booklet containing photos and song lyrics at Domo Music Group and iTunes. Let Mother Earth Speak has 9 songs titled as follows: Thank You Great Spirit, Song Of Responsibilities, The Missionary Song, A Good Day To Die, Don’t Cry, End Of The Day, She Don’t Love Me Anymore, Longest Walk 2 and Peace. Visit DennisBanks.org to learn more, and to sample or purchase visit the Domo Music Group pages for Dennis Banks and the Domo Music Group pages for Kitaro. Cover artwork courtesy dennisbanks.com & kitaromusic.com. 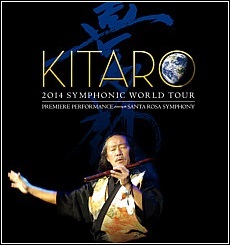 Kitaro is a GRAMMY® and Golden Globe Award-Winning musician in the forefront of today’s international music scene. 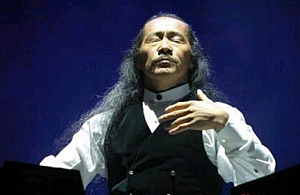 One notable fact about his artistry is its universal appeal, bringing forth a message of peace, respect and unifying cultural connection of Eastern music with Western music. 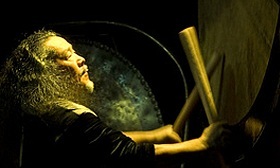 Kitaro is a music icon recognized worldwide as a primary founder of the New Age Music Genre, but then again, the principal influence heard in his instrumental classics are uniquely his own, and in a classification by themselves. This is a point of admiration about Kitaro’s music that simply cannot be overstated. 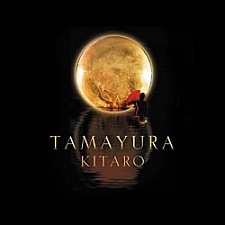 Over the course of his distinguished music career which spans over three decades, Kitaro has produced an extensive collection of beloved instrumental classics to millions of people from every nation. 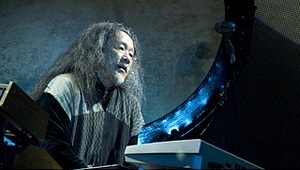 Kitaro began his innovative music career with the release of his debut solo album entitled Astral Voyage in 1978. From this time forward, Kitaro has been a leader in the music industry. 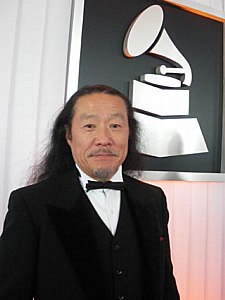 The recipient of a GRAMMY® Award, 14 nominations and a Golden Globe award, Kitaro is an artist accustomed to winning prestigious awards and acclamations for his quality work year after year. 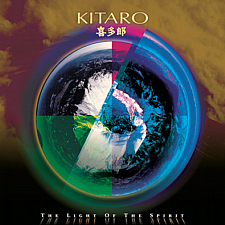 You will discover Kitaro’s music compositions are masterful in style and theme. The Silk Road series, Sacred Journey Of Ku-Kai series, Thinking Of You album, and Impressions of the West Lake are some of his most prized work. 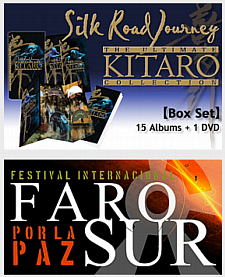 New Age Music World host John P. Olsen had an opportunity to interview Kitaro in the early part of March 2012, prior to Kitaro’s performance at a special multimedia, live concert event in Uruguay called FAROSUR. Today we are pleased to present their conversation to Kitaro’s international fan base and to all site visitors. 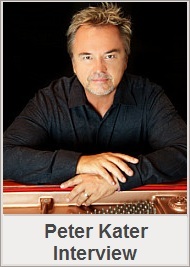 John P. Olsen: Hello Kitaro, thank you so much for accepting my interview invitation. 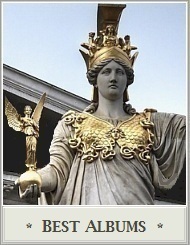 It is a privilege to host your newest interview in 2012, here at New Age Music World. I was already very familiar with you, and the music you produce, plus I enjoyed reading even more about you while preparing for our interview together. You are indeed one of the most fascinating artists I have ever interviewed Kitaro. Kitaro: Hello this is Kitaro, Thank you for inviting me to this interview. John: Let me begin by saying, you are an artist who has acquired worldwide, international fame. You were born in Japan, but have lived in America for many years too. Your music regularly has a fusion of ancient or ethnic instruments with modern electronic synthesizers. What first gave you the idea for integrating instruments with near opposite sound qualities? Kitaro: I started my music career in high school, that’s era (end of 60’s and beginning of 70’s). 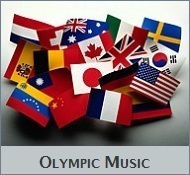 I listened to so much music from other countries, mostly from USA and Europe. I was very surprised by impressionable sounds. I felt like I opened the door of the new world. It was a synthesizer. John: In regards to ethnic instruments and electronic synthesizers, do you find it a challenge to unite the two classifications of instruments in your arrangements? Kitaro: For me, it was not difficult to combine these elements. It’s a very enjoyable moment. John: Has living in countries around the world with varying cultures been the greatest influence with your music, and if so, how much of a role does social culture influence your music? Kitaro: I still have a home on mountainside in Japan. It’s a 250 years old home. I learned many things; living culture, nature, life – how important these element are for our lives. Also I believe that my music is one of the elements of nature. 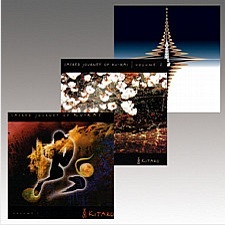 John: You were honored with a Japan America Society Art Without Borders award in 2002. 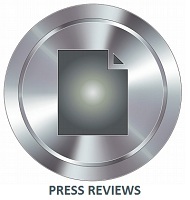 Can you tell us about the organization and the reason they presented their premier award to you? Kitaro: I believe most of the members of this organization want to make a better relationship between Japan and USA through our work. 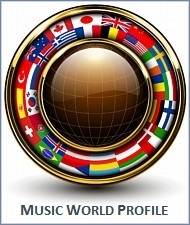 John: Your Love and Peace Planet Music Tours have made your music accessible to concert audiences worldwide. Your music has universal appeal. It is what sets you apart from other artists, and makes you special. How do you make the connection of unity with your concert audiences? Kitaro: I believe music has a power to influence audience’s mind and soul. So, we are trying to make peaceful mind within our sounds. John: Since people of various countries often have their individual tastes in music, have you ever performed concerts to fit the tastes of Eastern or Western audiences, or do you always strive for universal sound qualities? Kitaro: Sometimes when we visit another country and perform, we try to re-arrange the song to fit the audience and perform some of the songs which people know as a popular song. It’s very fun for us too. 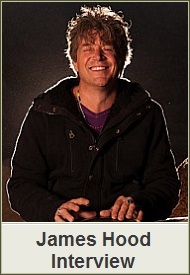 John: You are proficient on a number of traditional instruments like guitar, keyboards, and percussion. 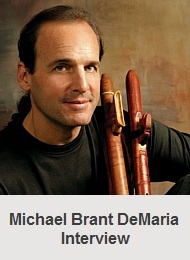 What indigenous instruments do you play, and what do you feel are the natural melodic qualities of each one? 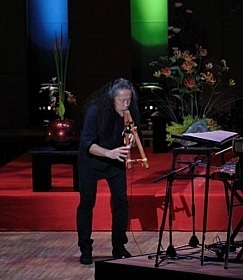 Kitaro: I have traveled many countries and collected many traditional musical instruments. And I’m still trying to play and make beautiful sounds of these instruments. 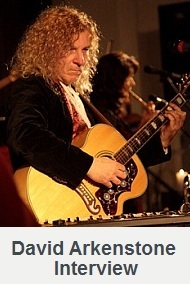 Since each instrument has a deep culture influence of each country, it is a timeless process for me. John: Of the many orchestral and ethnic instruments you play, which instrument(s) do you feel best speaks from the heart, or are your collection of instruments simply a tool for your own inner expression? 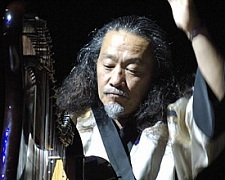 Kitaro: I’m trying to have an experience of different cultures to see the behind of the sounds and instruments. John: Percussion instruments likewise have a special place in your heart too. I read each year you make a customary pilgrimage to Mount Fuji to perform a formal drum ceremony. Would you like to tell us about the Wadaikos tradition? Kitaro: Rhythm and beat is our PULSE and our BLOOD. I have never learned drumming but we can play some, because drumming is a simple thing but deep – following our heart beat. 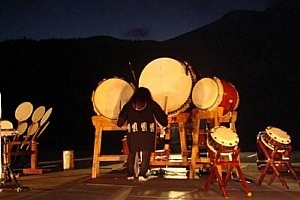 About Taiko-drum ceremony at Mt. Fuji in Japan: It has been already 24 years since we started. This ceremony is not complicated explanatory thing. It’s very simple. This is an appreciation for this Mother Earth and to create ties to it through drumming. We invite many people from the young to the old. Any ages can come to Mount Fuji. Then we play drum together on the full moon night in September every year. Same as many spiritual Native tribes doing, we try to connect to spiritual moments through the drumming. John: Your instrumental music is an unlimited collection, or in a universal category of its own style. Although your music can’t be defined by one music style or genre, your earliest albums began the structural foundation for the New Age Music Genre. When you first began producing music decades ago, did you envision the instrumental music you were producing at the time was to be a major influence, past, present, and future with the new age genre? 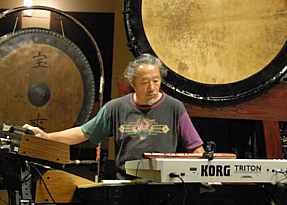 Kitaro: I have never thought of becoming ”New Age Music” like an individual Genre. But I believe this kind of sounds and music is what we need. I’ll keep going on my music. 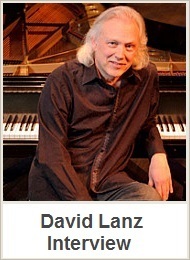 John: You have a long and enduring relationship with Tangerine Dream founder Klaus Schultz. What is your association with Klaus Schultz, and how did your friendship begin? Kitaro: In my First recording at England during the 70’s, we tried to propose him if he could produce for our Band, because we like Tangerine Dream sounds. Our Band (Far East Family Band) focused on progressive and electric music since we started the band. John: I read you and the late Takeshi Kato, who was the Chairman of the Korg Corporation also had an enduring relationship over the years too. Would you tell us about your friendship with Takeshi Kato and the influence he has made with your music? Kitaro: Mr. Kato supported many musicians, not only Japanese musicians but musicians from all over the world for more than 40 years. In early days of company “KORG,” he and I always worked with engineer discussing and explaining what kind of sounds we like to have, then engineer tried to create machine. In those days, we have still used analogue technology (I still like this technology). He passed away last year – He was like my FATHER. John: I am truly sorry to hear of your personal loss. 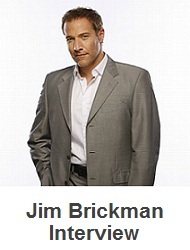 I didn’t realize you were so close. Takeshi Kato will be missed by many people worldwide. 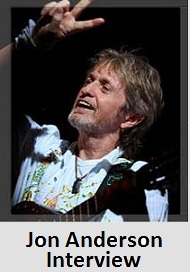 You have collaborated with many equally great rock music artists like Grateful Dead drummer Mickey Hart, on The Light Of The Spirit, and progressive rock YES vocalist Jon Anderson, on Transcendent Dream, both of which were highly successful albums. Your soundtrack and modern day opera Impressions of the West Lake was likewise a partnership with international filmmaker Zhang Yimou. Would you please tell us about your projects with Zhang Yimou? 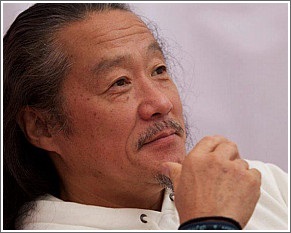 Kitaro: Mr. Zhang Yimou offered me to make original music for “Impression of the West Lake” in 2007. 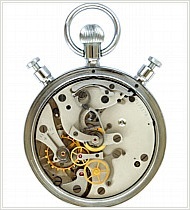 First, it was their idea – Then I had a trip to China to have meeting with production people. And they showed me my recent DVD ”TAMAYURA,” which is a collaboration with Butoh Dance company performed at traditional Japanese Garden. Mr. Zhang Yimou told me that they wanted to make the stage like this – I was so surprised, and the production was not easy. Because work continued with construction and composing music at same time, depending on stage direction handled by Mr. Zhang Yimou. We always waited for his comments. During the project, I enjoyed working with him so much for his dynamic direction and mind. John: You were honored by a Composer Award at the 51st Golden Globe Awards for your wonderful Soundtrack for Heaven & Earth, a movie directed by Oliver Stone. Would you like to tell us about your soundtrack compositional work with film director Oliver Stone? Kitaro: This Film was a third film of Vietnam War by Mr. Oliver Stone, as for my understanding. 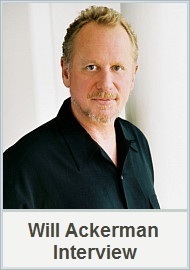 I learned many things; film score, filming, production and etc. I had a trip to Vietnam with him (Mr. Stone), his crew, actors and actresses. Since the film director decided everything; sounds, editing and all the details, even when my composition has done, he needed to confirm if music is right for the scene. And it took four years. His work had a lot of intention. That is good mood for me. 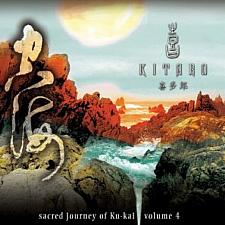 John: The Sacred Journey of Ku-Kai series was conceived during the days after the tragedy of September 11, 2001 (9/11). What was the setting, and the reasons for you to produce the Sacred Journey of Ku-Kai series? Kitaro: I focused on thinking about what is ”world peace,“ then I came up with this project. It has not finished yet. It’s still on the way to become “World Peace.” I believe Human will make “World Peace” someday. John: The Silk Road Series is said to be one of your many arrangements considered a musical masterpiece. What were the circumstances surrounding the production of your highly acclaimed Silk Road Series? 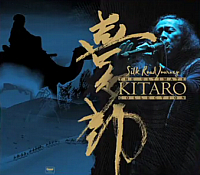 Kitaro: I had been influenced by the theme of Silk Road which is an ancient road between Asia and Europe. 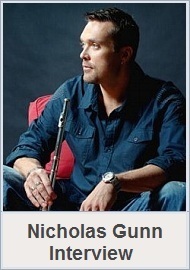 My imagination has grown so much with this theme at the time NHK offered to me to make music for Silk Road. Also I had a trip to China and Soviet Union (old day) after finishing composition. It was a fun trip. All of the places I visited were peaceful. But they changed too much today. John: You composed the soundtrack for a Japanese television documentary series that ran for five years titled Silk Road. How does the soundtrack music differ from the Silk Road series album collection? 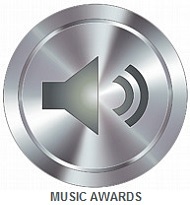 John: Your music has earned you a GRAMMY® Award and 14 Nominations over the years. These are significant awards and nominations. 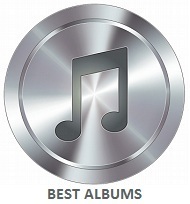 Are album awards and acclamations of your musical works important to you at all, or do you consider them simply a testimonial of your many achievements? Kitaro: Awards are not my goal. John: Over the years while attending the GRAMMY® Awards, you have had many opportunities to form friendships with other artists who were under award consideration like yourself. Could you tell us about your experiences while attending the awards ceremony? 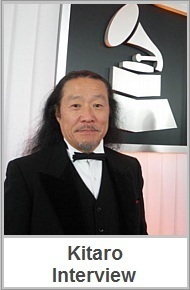 Kitaro: When I got 43rd Grammy Awards, my friend David Foster was on stage and he called my name. David said “congratulation” and I could release my tension and relax and talk. John: I am certain there will be a number of debuting and professional artists who will read our interview. Many artists maybe look to you like a mentor, and hope to achieve the level of success you have reached in your career. Do you have any words of advice you can offer, or a strategy an artists should bear in mind during the course of their music careers? John: On March 27, and March 28, 2012 you have a special live concert event in Uruguay. It is a premiere event conceived by Emil Montgomery called FAROSUR. I read this is a multimedia artistic show, and collective group effort. Who are some of the artists involved? Kitaro: This event will be a great friendship concert between Emil. Suzanne Ciani and I will perform some of the music (new song) together. We will perform every song from our HEART. John: What is the theme or purpose of the FAROSUR concert event? Kitaro: My understanding is “WORLD PEACE.” It’s beyond everything. John: Your philosophic viewpoint is a matter of record. It is one of peace, respect and unity, shared by many people. 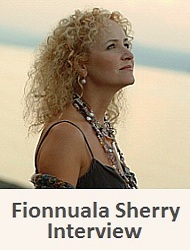 What does it “feel like” to be a respected artist, who has an opportunity to express your message of peace worldwide? Kitaro: We hope music effect all over the world. People can feel and think about future. John: During your international concerts around the world, you have performed live before audiences of over 50,000 people. Would you like to tell about your experience meeting people worldwide, what it means to you personally, and how it influences the music you produce? Kitaro: We always appreciate that many people come to see our performance. But our performance is not only our performance. We are performing with an audience, making collaboration. John: I would love to release some news for your fans about a new Kitaro album or a concert tour in the planning stages. Is there any additional Kitaro news you would like to announce today? Kitaro: I’m working and producing a Native American person’s (Dennis Banks) song which is related with Nature, living with Nature, songs coming from life style and spiritual experience. John: Your music is very much on the forefront of today’s music scene. 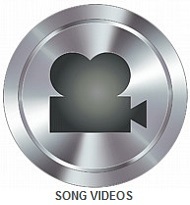 Interest in your music has grown tremendously over the years, and you have a wonderful story to share. It has been a privilege to host your newest interview in 2012 Kitaro. I hope we have a chance to visit again to update everyone on the current news about you. In closing for now, is there anything you would like to express to our readers, and the fans that have supported you throughout your career? 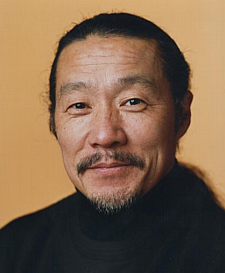 Kitaro: I really appreciate all of listeners and audience and all of living things on this planet. 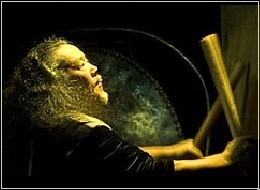 Visit the DomoMusicGroup.com homepage, their Kitaro page, and Domo Music Group store page for Kitaro. 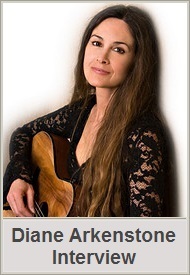 Photos are courtesy kitaromusic.com and domomusicgroup.com. 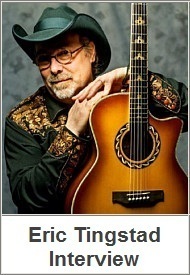 New Age Music World prides itself in offering visitors a variety of ways to find out more about their favorite artist. Music interviews are an excellent way to learn more about today’s popular artists and their music in a contemporary setting. 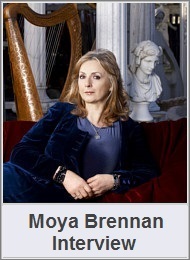 I am pleased to announce two esteemed popular artist have accepted my interview invitation. 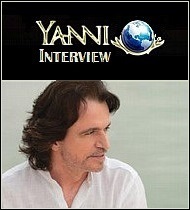 Kitaro & Yanni are two popular interview guests whose open conversations about their life and music are currently scheduled for an exclusive music interview here at NewAgeMusicWorld.com. 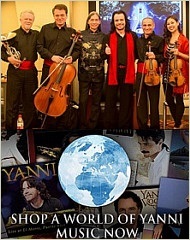 Kitaro & Yanni are two of today’s top instrumental artists, whose fans of all nationalities number into the millions. It’s a privilege to present an interview for their fans and my site visitors. A word of thanks to Kitaro and Yanni for giving us a moment of their time. 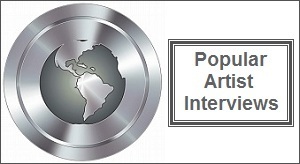 Read 30 music interviews with popular artists on my interview section. 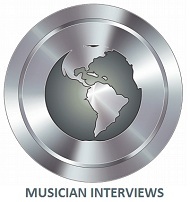 I am preparing for more music interviews with popular artists so check back for another announcement about future guest artists. 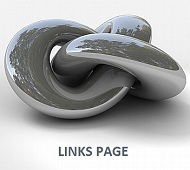 BigStockPhoto copyright – Ihfgraphics.